The Ospedale per Infermi Cronici e Miserabili (Hospital for Chronically Ill and Disadvantaged) in Lovere (via Santa Vincenza Gerosa, 14) was founded in 1826 by Vincenza Gerosa and Bartolomea Capitanio, two nuns recognised as saints by the Catholic Church. The structure closed in 1923. Now the structure is an important spiritual centre known as "Oasi Capitanio". 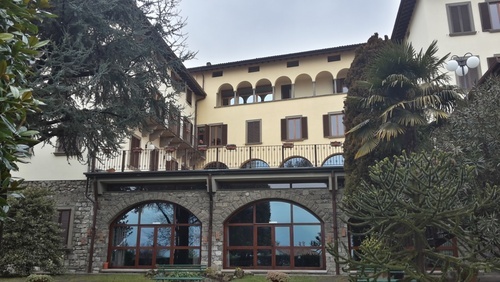 In 1930 the new hospital "SS Capitanio e Gerosa" was dedicated to the two nuns, blessed in 1926 (Bartolomea Capitanio) and in 1933 (Vincenza Gerosa) and recognised as saints in 1950. 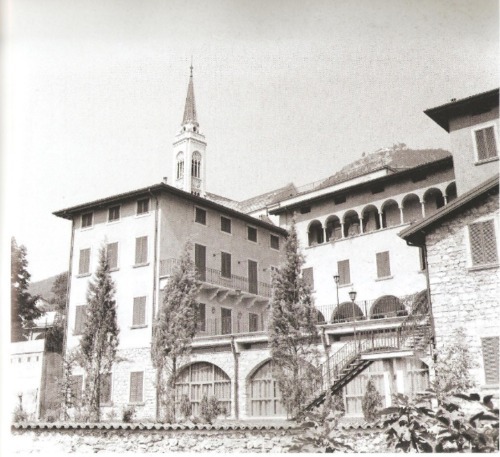 Caterina Gerosa - Vincenza, after she became a nun - was moved from the grave situation in Lovere in which the already existing hospital “La Misericordia”1 was reputed not adequate to host patients: “sick people are hospitalized in humid, obscure and unhealthy rooms” – as reported by the doctor Luca Bazzini concerning the old hospital. Caterina Gerosa managed an important leather factory of her uncles. She decides to donate one of her uncle’s proprieties, a “block of houses with orchard” in order to set up a new Hospital in substitution to “La Misericordia”. The two women operated as laywomen at first, however the 21st November 1832 they founded the religious institution “Sisters of Charity of Saints Bartolomea Capitanio and Vincenza Gerosa (SCCG)”. It was in this occasion that Caterina Gerosa changed her birth name into “Vincenza”, the name under which she operated as nun. Within seven years from its inauguration, in 1833, the hospital reached a good efficiency: it is equipped to hospitalize in comfortable and hygienically appropriate conditions around ten beds; it has two nurses and frequent visits of the doctor Luca Bazzini thanks to an agreement stipulated with the Municipality. In 1836 the cholera spread in Lovere, also in this case the "Ospedale per Infermi Cronici e Miserabili" played a pivotal role for the city: the Municipality indirectly appeals to V. Gerosa for the availability of the nosocomial structure to hospitalize the infected people. Vincenza Gerosa not only opened the hospital to the infirm indeed she cured them personally. The institution “Sister of Charity” and the whole hospital remained independent from the already-existing “Congregation of Charity” (that operated in Lovere too) till the 1872. There is not any particular reason that moved the Congregation of charity to advocate the administration of the Hospital, conversely it is reported that the 25 of April of that year6 the Sisters of Charity “felt released by such task (the administration) so that they could be more involved in the direct cure of patients in the hospital as in past”. In the first years of ‘900, albeit the several enlargement work, the Hospital found to be inadequate to the needs of the town; for this reason the Congregation of charity proposed to build a new hospital. The new structure was started in 1906 on a spacious land field back onto the mountain but building work had to be suspended for scarcity of founds and because the project was not evaluated competitive for modern standards. 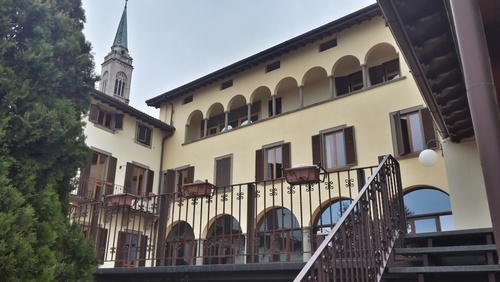 The Prefect of Bergamo demanded the definitive closure of the “Ospedale per Infermi Cronici e Miserabili” in 1923. Until that date the hospital continued efficiently with the role of nursing home, especially for elderly people. As a consequence of the closure of the hospital, it was decided to continue the work for the new hospital, started in 1906. The 31th of December 1930 the new structure was completed and inaugurated with the title of "SS. Capitanio e Gerosa" in honor of the two founders, recognized as saints in 1950. "The Oasi Capitanio (former "Ospedale per Infermi Cronici e Miserabili") in the '50s" black-and-white photo was taken from "Immagini di Cronaca Loverese, fotografie inedite dal 1947 al 1972" by Elio Ballerini, Demetrio Oberti Publisher, Lovere (Bergamo). 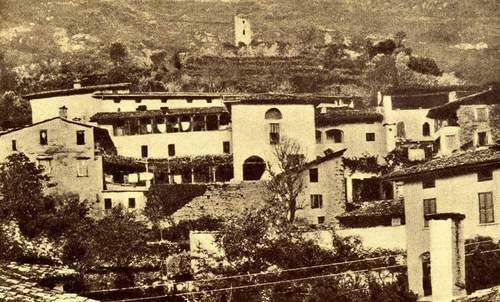 "A rare photo of the "Ospedale per Infermi Cronici e Miserabili" taken in the '20s" black-and-white photo was provided by Virginio Pegurri. 2. 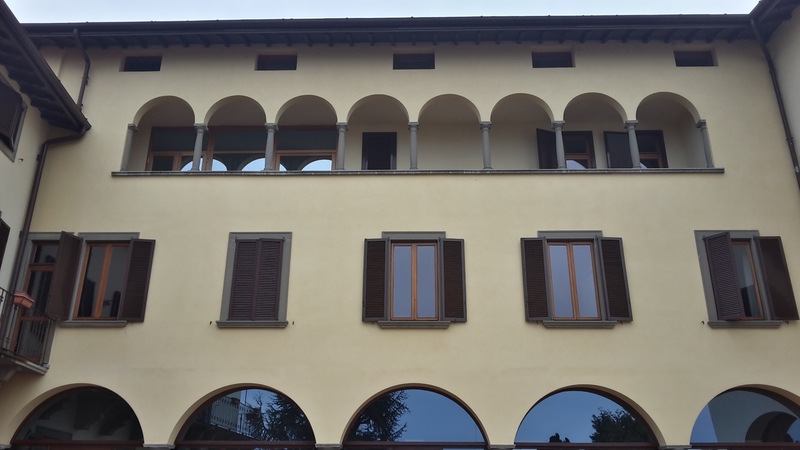 Nowadays it is still possible to admire the original façade both on the frontal part of the structure -that faces the lake- and the back one. Currently the structure is called “Oasi Capitanio"